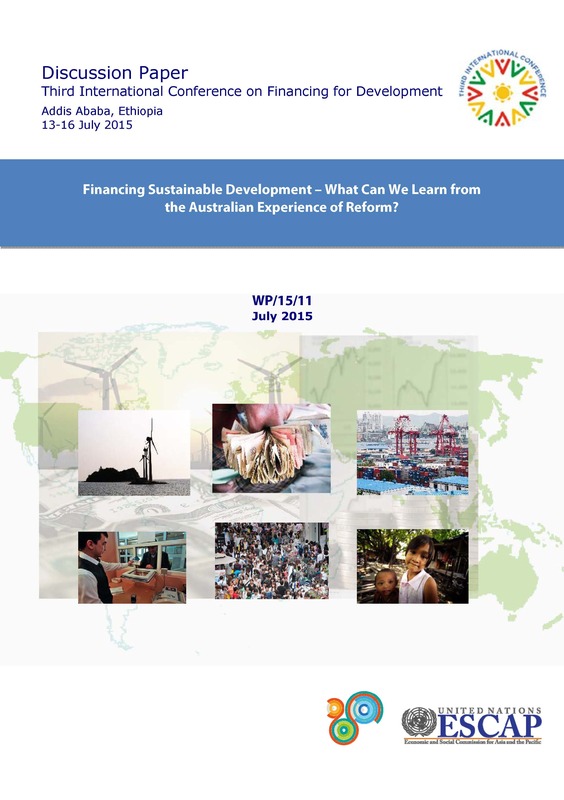 Financing Sustainable Development – What Can We Learn from The Australian Experience of Reform? This discussion paper "Financing Sustainable Development – What Can We Learn from The Australian Experience of Reform?" was prepared for ESCAP by Wayne Swan, Member of Parliament, formerly the Deputy Prime Minister and Treasurer of the Commonwealth of Australia.